It's been too long since I did an update! After fishing ended last year i honestly forgot about the site and lost track of the updates! So here are some pictures of my tanks progress! First, a full tank shot with a comparison between two years ago and now! 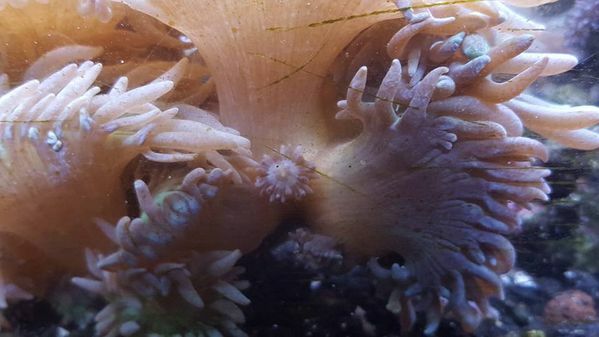 Now some close ups of a few corals! 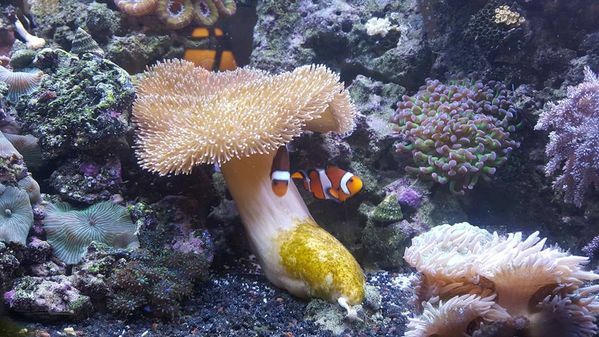 My leather coral and two clownfish. 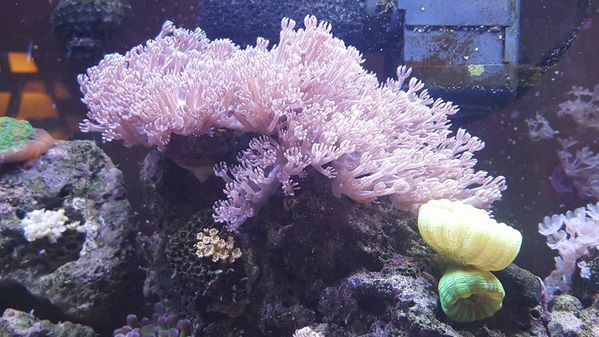 The leather coral had a bad infection/decay around November/December of 2015 and I almost lost him! Since them he has made a full recovery! ANDDDD i even will soon hopefully be the proud owner of two leathers! You can see it in the bottom of the first picture! Here is a closer view! 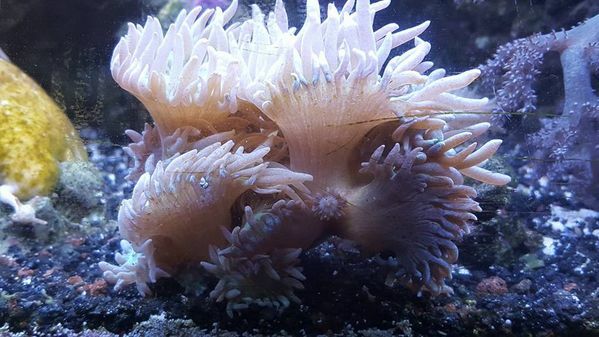 My Duncan coral who started with four heads when i bought him! Now with tons of new additions! Closeup of a baby head on the duncan! 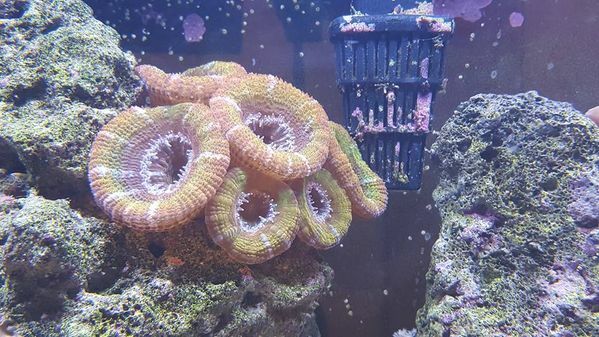 One of my two colonies of moon coral! And now, a few pictures of my second tank which i received for free from a family friend who couldn't care for it. After tearing it completely down, it is starting to recover again! 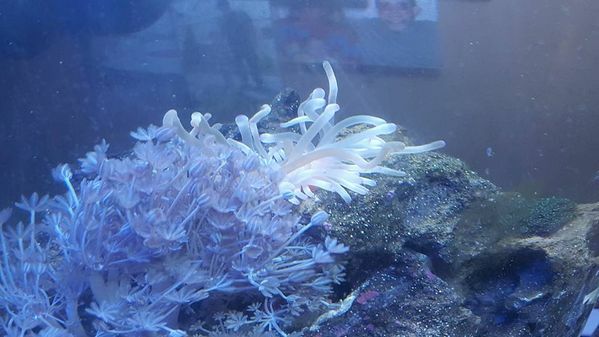 After being bothered too much by the clownish, my anemone has found a new home in the new tank! Well, that's all i have today! As always if anyone has any questions, feel free to ask away! Digging the tank! What fish fo you have in there? Thanks man! I have two Clownish, a Clown Goby, two firefish/gobies and two Green Chromis in there! Nice stock. I've had a bunch of problems with my 75 gallon reef, can't keep fish alive but corals are thriving. Think I've lost ~$500 worth of fish in the past 6 months. Wrangler- were there any outward sign of illness? particularly white spots? Ich (different than freshwater ICH) and marine velvet are the 2 big killers of reef fish. Both are impossible to treat in a reef tank since the meds would kill your corals and inverts. 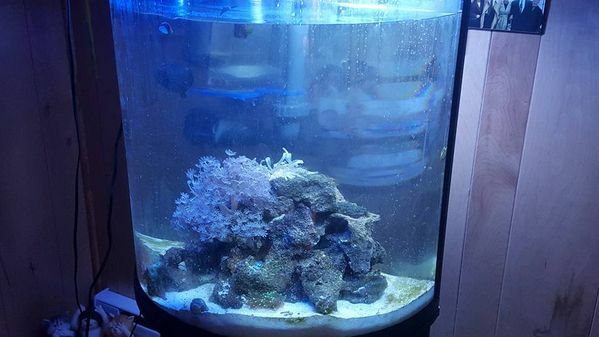 If it's ICH letting the tank be completely fish free for 2 months would cure the problem as the saltwater ICH parasite needs a host and after enough time with no host all would die. Unfortunately the next batch of fish you get could have it again as it is very common. Many to most fish have it and it become a problem when the fishes immune system is lowered due to stress. Also what do you run your temp and salinity at? Puregerman-Tank is looking really good. I'm resetting up my 120 gallon reef right now. Should be up and cycling by Saturday. I've done reefs for about 15 years, but stopped about a year ago and did just game fish. They were a nice interesting diversion for a while, but I have the itch for saltwater again. I have a pond as well so I moved the game fish outside last week. I had a redear that grew to 9.5" in the tank. It was a beast. 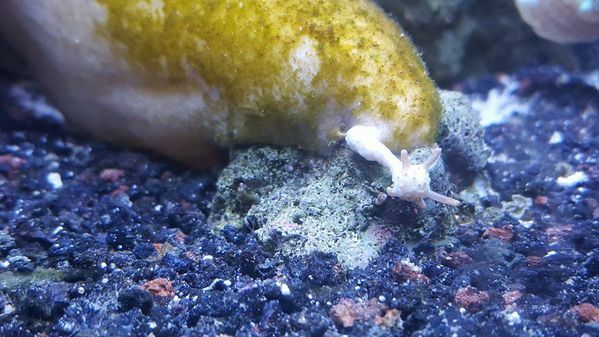 Marine Ich is the culprit, the only way I can get the last 2 fish out (a yellow tang and pink spotted watchman goby) is if I remove all the rock which won't happen. I'm going to let my QT sit dry for a month before getting more fish. 2 fish in a 75 is boring. Salinity is 1.025 and temp is between 73-75 degrees, 4 T5HO lamps cause the fluctuations. Yeah the quarantine will be ICH free, but the main display will still have it. Having ICH is possible to overcome if the fish are kept stress free. I'd say the best bet would be to keep the fish load low and only stock fish that are very low aggression. Feeding foods supplemented with SELCON and garlic seems to help as well. How big is the tank that it would be that big of a pain to get all the rock out? It's great that you have a quarantine tank. If you took those 2 out you could treat them in the quarantine, and then qurantine all new stuff and be set. You said a 75 correct? That shoudn't take more than a few hours to break down and then reaquascape. Unless of course it is really loaded with corals. 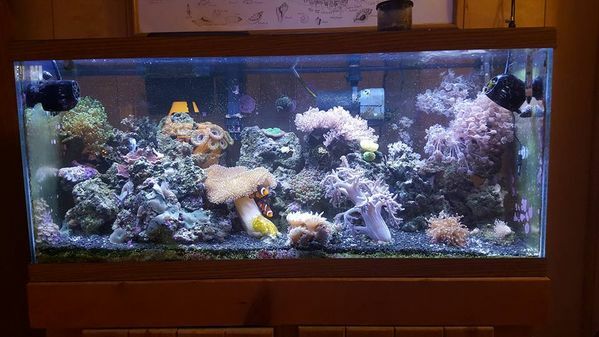 The last page of that link has pictures of my tank. 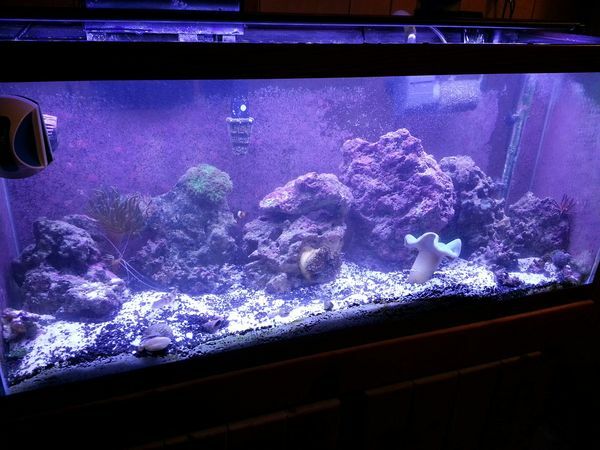 I have 20 corals total and ~150 pounds of rock. I already moved the tank once, it is staying where it is now. The only proven way to get rid of ich is copper sulfate. I have to double check but I think level of .30+ppm for at least 2 weeks will get rid of it. Some papers I have seen say up to 21 days. Problem is it stress the crap out of the fish. You would have to do this in a separate quarantine tank as the copper will wipe out your reef tank. You also have to measure the copper levels almost daily as it precipitates out with the calcium carbonate in sea water forming copper carbonate. The parasites life cycle is also temperature dependent. If you get the temp up to about 80 or so it will speed it up. The copper will only get them when they are in the free swimming stage actively looking for a host. It will not get them while they are on the fish or in cyst form reproducing after they fall off the fish. The problem is most stores do not treat or quarantine their fish prior to sale. I know of only 2 stores that do so. Chitown-Angler was started on February 10, 2003 and has received 207435808 page views in total since that date.